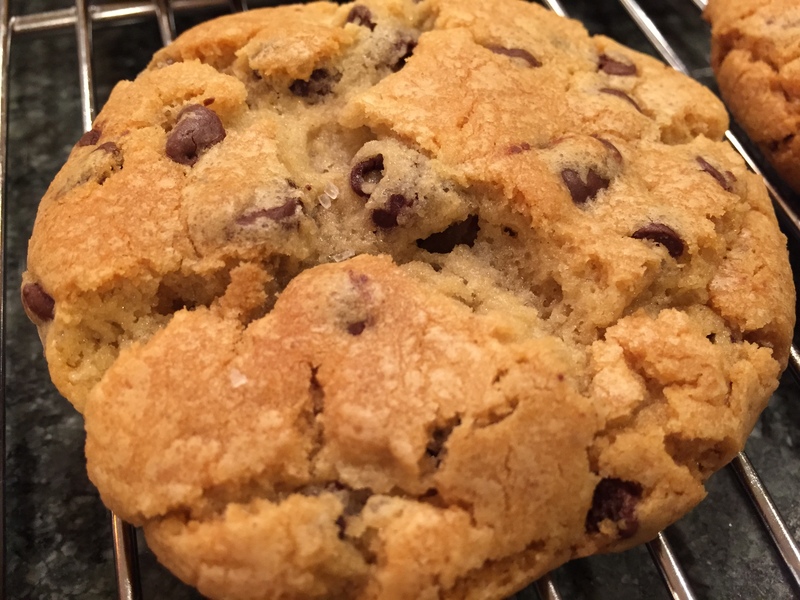 I think most bakers find themselves at one point or another in search of a perfect chocolate chip cookie recipe. Some like thin and crispy, others like soft and cakey, so I suppose it’s quite difficult to settle on one “perfect” chocolate chip cookie. 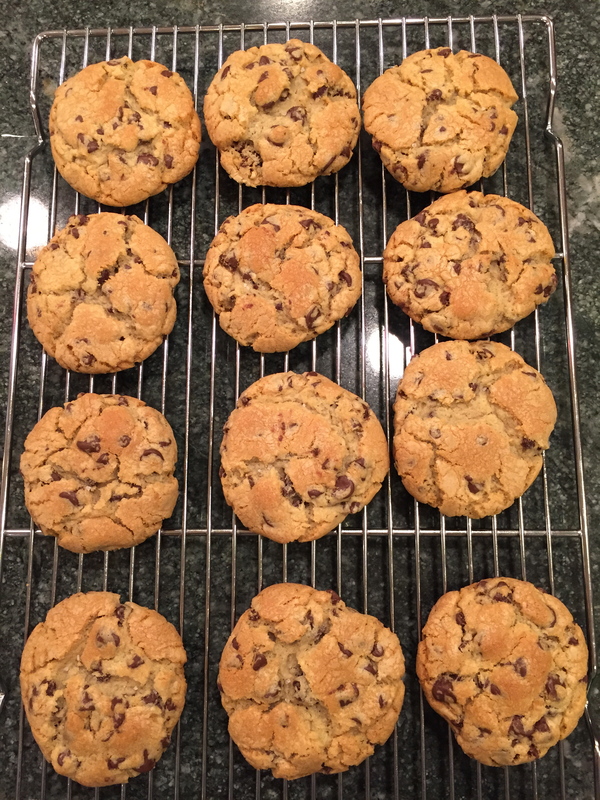 Nevertheless, in my opinion the NY Times Chocolate Chip Cookie recipe comes pretty close to being the ultimate version of this established American favorite. The interesting thing about this recipe is that it uses cake flour and bread flour, neither of which I’d imagine are found in most pantries. They certainly weren’t in mine until I decided I was going to give this renowned recipe a try. The recipe also uses a large amount of brown sugar, which I believe contributes to its perfect exterior texture of being slightly crisp while maintaining a softer center. Finally, you are supposed to use high quality chocolate discs, but alas standard chocolate chips was all I had this time around. The instructions have you refrigerate the dough for at least 24 hours before baking, so there is some advanced thinking that goes into these cookies. Also you are supposed to weigh the balls of dough maintain uniformity. These really are beautiful cookies. The golden brown color is just so picturesque, and they make the cookies utterly enticing and completely irresistible. With a sprinkle of sea salt on top, the taste is also wonderfully divine. These cookies are rich and chocolatey, not too sugary sweet, a perfect blend of crunchy and chewy, and just SO satisfying. 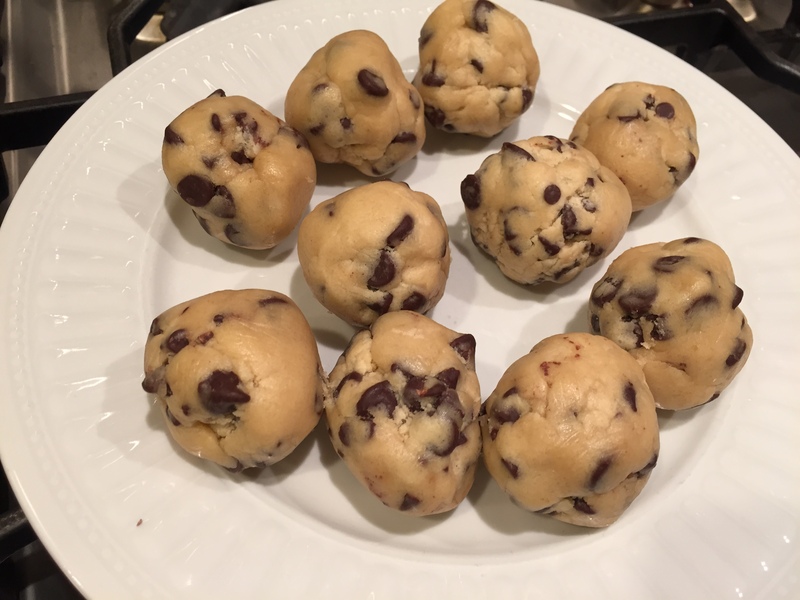 Although the recipe is certainly not my own, they are without a doubt delicious and worth the time and ingredient investment. These were my final offerings at work before we packed up the kitchen, and I was very happy to go out on such a solid note.